Board Certified Plastic Surgeon | Dr A. H. Nezami, Specailizing in Breast Augmentation in Jacksonville Florida. Each member of our staff values her opportunity to collaborate with other highly qualified members of our team at the Jacksonville Cosmetic Surgery Center. Together, we support our mission to offer patients a welcoming and warm, but highly professional environment. We see our patients as crucial members of our medical team, and encourage them to call us with any questions or concerns that may emerge throughout their journey with us. Homa has managed the Jacksonville Cosmetic Surgery Center since 1994. She holds a Bachelor's degree in Social Science and a Master's in Economics from the University of Paris. Homa also holds a Master's in International Economics from the University of Denver. As Practice Manager, Homa oversees the intricate office operations, and preserves the vision of our practice. In addition, Homa directs and oversees all marketing including the print and television advertisements and web site. 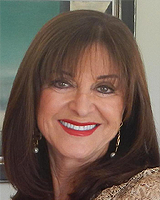 Jacksonville Cosmetic Surgery Center welcomed Mary Lou's cheerful, calming, and genuinely caring administrative assistance in 1999. You'll meet Mary Lou as soon as you walk into our office, and she'll see to it that your visit is effortless and memorable. In addition to managing the front office, she welcomes patients into the practice, and assists them in scheduling their consultations. Certified surgical technician, Martha Noguera, assists Dr. Nezami in the operating room and at all pre- and post-operative visits. She earned a Doctorate in Medicine from the University of Carabobo (Venezuela), and an Otolaryngology Certificate from Ministry of Health and Social Welfare of Venezuela. Martha has been working in medicine for the past twenty-seven years. At Jacksonville Cosmetic Surgery Center, she guides patients through their surgical journey; she schedules surgeries, post-operative consultations, and follow-ups. For Martha, patient education is a central concern: she helps inform patients regarding their surgical choices, and ensures that throughout the surgical process, all their questions are answered. Always ready with words of encouragement, she offers comfort with her calm personality and beautiful smile. Native Nebraskan and CRNA, Amy Igel, has accrued more than twenty years' experience in the operating room, and has also worked for several years in intensive care. Amy holds a Bachelor of Nursing degree with high honors from Creighton University, and a Master's degree in Nurse Anesthesia from the Mayo Clinic College of Medicine. She is a Florida certified, Advanced Registered Nurse Practitioner, and holds an Advanced Cardiovascular Life Support certification. Amy regularly pursues continuing education in anesthetic, operative, and post-operative medications, techniques, and procedures. 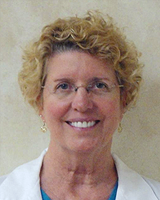 Jacksonville native and Florida Community College of Jacksonville (FCCJ )Surgical Technology graduate, Julie Vinson joined the Jacksonville Cosmetic Surgery Center's team in 1998. Julie prepares the operating room for surgery, and assists Dr. Nezami throughout surgical procedures. Julie enjoys the positive atmosphere in Jacksonville Cosmetic Surgery Center, and is an admirer of Dr. Nezami's work ethic. 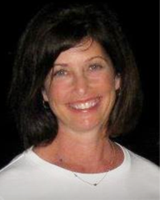 In her free time, she enjoys music, reading, and spending time with husband, children, and grandchildren. Heather is a graduate of FSCJ's Registered Nurse program and has over eight years' experience as a registered, emergency room nurse. In addition, she has nursed within: a special procedures unit, a medical surgical unit, and an outpatient plastic surgery center. Heather worked as a Certified Nursing Assistant (CAN) for over four years, assisting in emergent care, surgery, telemetry duties, and post- surgical cardiovascular care for open-heart patients before earning her nursing certification. At the Jacksonville Cosmetic Surgery Center, Heather remains with patients from arrival through final discharge. She prepares patients for surgery, circulates during procedures, and assists them throughout the recovery process. Susan is a well-respected nurse practitioner who implements the latest advances in aesthetic, non-surgical procedures and treatments. She combines her skills and philosophy of compassionate care to offer a comforting patient experience and beautifully natural results. 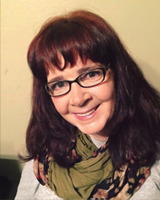 Susan started her medical career in the 1970's as a medical assistant. She also worked as surgical technician assisting a plastic surgeon in Marietta, Georgia. Her love for surgery drove her to return to school in pursuit of a Surgical Nurse Practitioner degree. At Jacksonville Cosmetic Surgery Center, Susan administers all non-surgical procedures such as Botox® and other filler injections and laser treatments for hair removal, acne, sun and age spots, and rosacea. 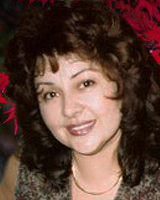 Marlene is an outstanding registered nurse with forty years of experience. 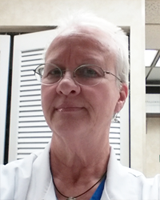 Marlene is a Certified Registered Nurse for post-acute clinical units. She nursed at Baptist Medical Center's Post-Acute Clinical Unit for twenty-two years. 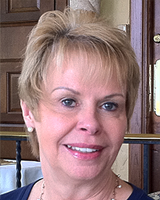 Throughout those years, Marlene worked with Dr. Nezami in Baptist Hospital's main operating room on many procedures. Marlene finds the atmosphere in Jacksonville Cosmetic Surgery Center quiet and relaxing, and the staff informed and accommodating to patients. 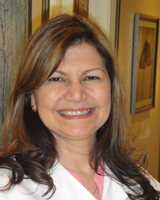 Marlene finds Dr. Nezami to be among the finest plastic surgeons in Jacksonville, and appreciates his patience during surgery, and his kindness toward his staff and patients. Ilmira directs Jacksonville Cosmetic Surgery Center's skin care and permanent makeup department. 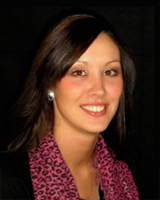 As a licensed cosmetologist, aesthetician and permanent makeup artist, she has over fifteen years of experience. She brings a wealth of skin care knowledge to the practice.